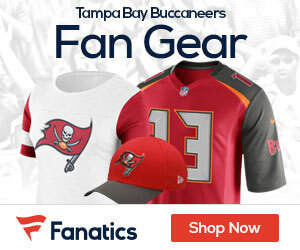 The Bucs’ preseason opponents and stadiums have been announced though only one concrete date was released. The thing I most look for in a preseason schedule is a team that drafts well enough that your second and third string will get a good test by their second and third string. Miami and Kansas City have pretty good talent evaluators and no one is better at drafting than Bill Belichick. A lot of rookies could be on display in that game as the Patriots have an unprecedented 8 picks in the first four rounds. Depending on what Belichick sees and how strong the demand is for some of the quarterbacks, Belichick could multiply those picks even more than he has in previous years as the word on the street is that it’s going to be a trade-heavy draft and they can’t trade players. They wont be playing any games this season!